Hermeuptychia sosybius - Hodges#4575 (Carolina Satyr). 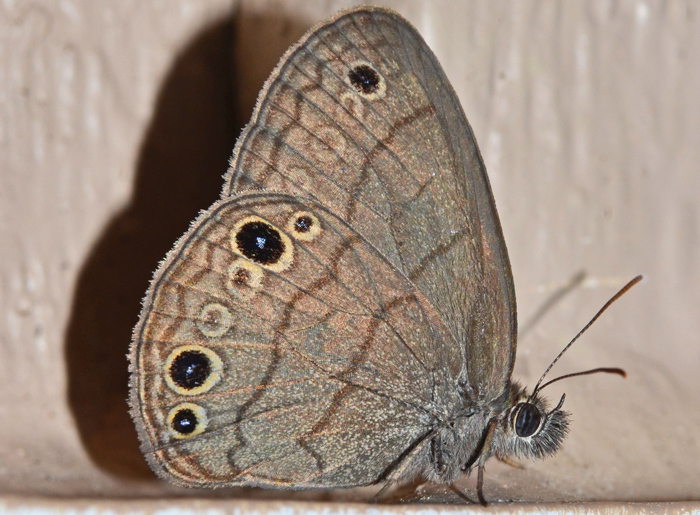 This little butterfly is a Carolina Satyr. It lives in grassy places and woodlands. The species usually has two medium-sized eyespots on the hindwing, one small eyespot on the hindwing, and one on the forewing. In addition there are several minute eyespots and dark lines. They very rarely perch with their wings open, but when they do one sees only unmarked brownish gray wings.